Broadway actress – private investigator – Assistant DA – and now novelist. Robin Lamont worked as a Broadway actress and singer, playing lead roles in Godspell, Grease, and Working. Her original cast recording of “Day by “Day” and her film version of the song have drawn fans from around the world. Utilizing her acting experience she became an undercover investigator for a PI firm in New York City that specialized in investigations into counterfeiting. During that time she went to law school and later practiced as an Assistant District Attorney in New York. More recently, while continuing her writing Robin volunteers for animal welfare organizations, trying to raise awareness about the plight of animals throughout the world. Caryn Hartglass: All right everybody, we’re back. I am Caryn Hartglass and you are listening to It’s All About Food. And remember, you can find out a lot more about me and my work at https://responsibleeatingandliving.com/that’s my nonprofit and I put up all kinds of lovely vegan recipes. I have a blog called What Vegans Eat, have you been there recently? All I do is show you what I eat, every day, because so many people have asked me what do you eat? Now you know in pictures and text and often linked to recipes, so it’ll make really easy if you want to try and make some of the dishes that I am showing. Great! And that’s https://responsibleeatingandliving.com and you can also email me at info@realmeals.org. My next guest I have had on the program before and she is Robin Lamont, Broadway actress, private investigator and assistant DA and a novelist. We are going to talking about her most recent book: The Trap. Robin Lamont: I am well how are you? Caryn Hartglass: I’m good! I just finished reading your book. It was great! Robin Lamont: Thank you very much! Caryn Hartglass: Yeah! So you know, one of the things I was just talking about with Matthew Liebman about this recent Idaho ad gag laws which was declared unconstitutional. ooh! ooh! Caryn Hartglass: It is awesome, we can’t say it enough. There was an actual section in the judge’s ruling that cited Upton Sinclaire and his book The Jungle, which came out near the 20th century, fictional story about the horrors going on in Chicago slaughter houses and I thought that’s why your books are so important. Robin Lamont: I am a big big believer in story and the power of stories. I think they have an emotional power that engages people and then kind of when you step in the character shoes, you’re brought on a journey. And that’s what Upton Sinclaire did. He brought people into the world of the slaughter house, true fiction story. And I mean the book had enormous impact so yeah he’s a hero. Caryn Hartglass: He is a hero. His book however, was… there was no happy ending in his book. Caryn Hartglass: It was depressing from start to finish. I mean I was nauseous in my stomach reading it the entire time. (laugh) But it did make tremendous change and that is good. Robin Lamont: I think when it comes to animals unfortunately right now; there are very few happy endings. The overturn of the, well almost overturn, of the Idaho ad gag law is a happy ending but what I am trying to do in my theories is embed facts of what is really happening for animals in a fictional story. And it’s pretty difficult if you’re relying on the truth to have a happy giggly ending. You can maybe have a satisfying ending to each book but the struggle continues. Caryn Hartglass: I like the way you sprinkled different statements that were reflecting current policy and current truth throughout the story. And it does have fortunately a happy ending, to some degree it does and it’s just nice. So people can learn about a lot of horrors in a very thrilling and fun way. Fun, it’s not a good word but I did enjoy reading it because it’s a good story. Robin Lamont: Thank you and that’s the whole point. I mean I want people to enjoy the story. That’s my main point. Caryn Hartglass: One of the stories is about, why don’t you give me a brief summary. It’s about our wild life agency, policies and hunting. Hunting is a very hot topic right now. I think we’ll dig a little bit more on that right now, and what people say, the reasons people give for needing hunting or not needing hunting, and then what really goes on because apparently according to your story, there is a lot that goes on that is not necessarily legal, not necessarily beneficial and people don’t know about it. Robin Lamont: That’s true. That’s really true. Well in The Trap, the Kinship Series main investigator Jude Brannock is sent into Idaho of all places where a government agent with wildlife services has been found caught and dead in his own trap. That’s how it begins. In her search to help find the real killer, she encounters wildlife services, which is a true existing agency with the US government. It’s a part of the USDA, and their mission, “stated mission”, is to help humans and wildlife coexist. But when you look deeper and read some of the exposés and read a little bit more about the agency, it’s really far from that. It’s a very opaque agency paid for by tax dollars and they’re engaged in some really mysterious activities when it comes to killing animals. Caryn Hartglass: Now, number things that go on is that we have ranchers that are growing animals to feed people like cattle and sometimes sheep. And they don’t want their animals attacked by wild animals so they use these rules, or the excuse of these rules, to shoot some of these animals in the wild: wolves and coyotes. It’s all to promote the growing of animals to feed people, which I don’t it’s a good thing to begin with for lots of reasons. Robin Lamont: Yep! So for me, animal agriculture is one of the most powerful economic driving forces in our country, or throughout the world, and we do an enormous amount. I mean to hide what is really going on, Matthew Liebman talked earlier about the ag gag laws. Well, as a suspense writer, I think these huge corporate and government structures at the root of animal exploitation are great foils in a thriller and suspense novel. So I tend to go after that. Caryn Hartglass: Absolutely. It’s just like the republican candidates right now are great material for comedians, you have great materials for thrillers. It’s scary because it’s real. So I wonder throughout the book, how much was based on real occurrences and what you actually made up. Maybe you can tell us something that’s true that you based some of it on. Robin Lamont: Okay, I mean I would pretty much say that all of what happens to animals in The Trap is true, or has been documented somewhere. I relied an awful lot on an exposé by Sacramento beach journalist Tom Knudson, who wrote series of pieces and they read like a thriller. He interviewed ex-wildlife service agents who told him what was really going on behind the scenes. One such thing is that wildlife services kills about 4 million animals a year. And that’s what’s reported. Now they engage in a lot of very brutal trapping and hunting methods that are not allowable in the individual states by regulations. For instance even in Idaho aerial gunning is not permitted by state regulation. Poisoning coyotes, wolves, bears is not allowable by state regulations but because wildlife services is a federal agency, they are exempt from all of those rules. I do deal in the book with a practice that I found just awful, which is in the trapping. When these agents set traps, they might set a trap for a coyote or a wolf but animals don’t read the signs on the trap. They are simply drawn to the bait. So an enormous number of unwanted, untargeted animals get caught in these traps including domestic pets. They are quite a number of instances where families lost pets who are trapped in a leg hold trap where they were poisoned by these M44 cyanide capsules. The owners had to watch their dog die rising on the ground in agony from these cyanide capsules so it’s pretty brutal stuff but it does go on. Caryn Hartglass: It’s brutal to companion animals that people love. It’s brutal to wild animals that people don’t know but deserve to live and deserve to live without horrific cruelty and just horrible, horrible death. Caryn Hartglass: Your book exposes a lot of this. I am just constantly… I am speechless because I don’t understand why humans want to do this and create so much violence. We have such a capacity to create tools that will do so much violence. The traps that we create just become worse and worse and more painful. Not only are those animals unnecessarily killed but they are tortured in horrific ways. Robin Lamont: They do suffer and I’ve tried in these novels to create a sense for you know my main character, the investigator here, Jude Brannock. She is at a loss, like you are, to understand why and how this is possible. I think at one point in the book, she is brought out into the wilderness to see this incredible endless acreage of miles and miles of Ihado mountain and forest and stream. And she says: where do the animals get to live? If they don’t get to live free of suffering here, where do they get to live? And she is at a loss herself. Caryn Hartglass: Some will tell us that hunting is necessary. In fact I just saw an article on New York Times yesterday about hunting in Africa, saying that because of what happened to Cecil the lion and the outcry that happened because of the trophy hunting, they are saying that conservation efforts could actually do damage in this area. We hear a lot of people talking about how hunting is actually necessary in order to control wildlife. But I think you even mention in the book the importance of wolves and how the area was actually degraded because of the lack of wolf. Robin Lamont: Yeah for sure. Until the midst of, I guess the 1990s, the grey wolf was pretty much extinct from the northern Rockies and that’s their natural good habitat. Until they were reintroduced and put on endangered species list, which they now have been removed from, in the northern Rockies, they weren’t there. A lot of the biologist in Yellowstone found with the reintroduction of the wolf that the entire landscape began to come back. Birds and fish and small mammals that were being eating by the prey of the wolf were now coming back and there was a richer landscape than without wolf. So I honestly believe that they are ways to coexist without trapping and hunting all these animals. Caryn Hartglass: I believe it too. And you also mentioned, and I believe this is true of all non-human animals, that they don’t kill for sport like humans do. Robin Lamont: Well we do an awful lot to animals for sport don’t we? No, animals don’t kill for sport, they kill for survival! There is quite a bit of evidence that shows that when we, humans, go in and disrupt the packs of these predators, whether it’s wolves or coyotes, we absolutely do more damage to our own self-interest. Wolves, they operates in a pack and once the pack is disrupted by the killing of one or two, the juvenile wolf without a family are actually much more likely to go after livestock when the pack can’t teach them how to hunt the deer and the elk that is their natural prey. Robin Lamont: I think you know the other thing is one of the biggest problems of our country’s wildlife is we’re taking their habitat. We’re taking it, and for them to go outside what we consider are appropriate boundaries for wolves or coyotes, it’s because we’re encroaching on their land. Caryn Hartglass: A lot of people would say that the population, human population, is the problem and I won’t disagree. There certainly are a lot of people on the planet and we could be doing a much better job, and we could be living a lot more efficiently and I think living happier and healthier as a result if we weren’t using so much land to grow plant to feed animals that would ultimately feed people. Robin Lamont: I am with you there. One of the reasons that wildlife services is so active out west is because they are working basically as an extermination service on behalf of the ranchers, ranchers who were grazing their herds on public land. Caryn Hartglass: Oh thank you for bringing this up. I wanted to bring this up next and here you go. Let’s talk about those public lands. Caryn Hartglass: You rarely hear about this and most people don’t know about it and it’s infuriating. I have heard the term “welfare ranching.” Because these are public lands, they belong to all the citizens of the United States and they are being rented for literally next to nothing: pennies to graze animals and then the lands pretty much is seriously degraded after these animals come through and the ranchers don’t have to do anything to improve it. It’s called welfare ranching. There are people that are always annoyed that some of us on the left, primarily, want to help people that are poor, people that don’t have opportunity, and welfare payments, variety of different ways to help support them for food, for education, for healthcare etc. and yet, we don’t talk about this other form of welfare really which is using citizens land that we are renting for next to nothing for these people to use and abuse. Robin Lamont: Absolutely. It’s ruining the environment and it goes even beyond that. It’s basically government subsidies for the rancher and they get to use the government public land. If and when a wolf or a predator takes one of the livestock, they’re generally reimbursed for the loss of that livestock. So they get paid back about them losing that much money. And now you have wildlife services, let’s say federal agency that’s basically doing all of their exterminations of predators for them on public lands. So it’s all the same story to me, it’s all about the subsidy of cheap meat. Because if the ranchers had to use their own land, they have to take care of the wolf problem on their own hopefully with humane methods, then this would be extraordinarily expensive but our government subsidizes it because one of the USDA’s mission is to promote agriculture along with animal agriculture. Caryn Hartglass: You mentioned in your book at this one particular hearing in a story, where people were talking about hunting that there are more humane ways to keep wild animals away from ranchers’ animals but they are too expensive. Robin Lamont: Absolutely. There was a study done in California, a project set up with the humane deterrent methods basically that includes guard dogs, human herders, special lighting, something called flagging which is fine little flags set along the fence to keep wolves and coyotes away. But these methods are expensive, if you are going to pay a herder to circle your sheep at night, it’s going to be much more expensive. That’s why ranchers don’t generally do it. In this one particular area in California, they stuck with the humanely deterrent methods and out of I think 27,000 sheep only four were lost in 2012. So it is a tiny, tiny percentage and it’s possible. Caryn Hartglass: The other part proceeding to all of this is fear. People are afraid and in some cases their fear is not justified. Robin Lamont: Yeah, I really tried in the book to, because my investigator was going into the heart of hunting and trapping land in a culture and the mindset of coyote derbies and wolf derbies where they like to kill them. I really tried to dig into that mindset and find out what was going on, and there is quite outlast of real demonization of wolves it’s really going back to centuries but my personal belief is that demonizing the wolf makes him that much more of a great target to kill. You look at Cecil the lion, why does somebody want to go and kill a lion? Because it makes him feel like a warrior, makes him feel like a man. I don’t know. It’s exciting! The bigger and more ferocious the animal, the bigger the challenge and the more the ego gets from the killing of the animal. That’s my personal belief, but I think wolves fit that bill. Caryn Hartglass: Have you head the recent story of a hiker in Yellowstone national park that was attacked by a grizzly bear? Robin Lamont: I did vaguely hear about it. I don’t know the circumstances or the facts but I was sort of led to believe that perhaps this hiker didn’t use reasonable precautions and it was a mama bear protecting the cubs. Caryn Hartglass: It’s funny but it’s also sad because these non-human animals are being accused, at least it’s believed that one bear attacked this hiker and now they are holding a family of bears and checking the DNA that they found to see if indeed this one bear killed this hiker. I am thinking, you can’t question the bear, you can’t ask what her motive was. She has no defense, she has no one defending her and I am sure that this hiker was partially to blame as you think. But we have this fear of big animals and unfortunately the bear will likely be put down. Robin Lamont: It’s not an even playfield, is it? Caryn Hartglass: No it’s not. So you’ve written The Trap and I recommend it. Anyone who likes a good thriller and especially if you know people who aren’t really conscious or aware of what goes on with animals in this country, you might give them this fun book to read along with your other book: The Chain, which was another exciting read and talked about animals in factory farms. So what’s next Robin? Robin Lamont: Well this is a series so I am embarking on book 3, which will deal with animal testing. Caryn Hartglass: Oh good. You worked as a private investigator. Did you ever work in any of these arenas? Robin Lamont: Not in any of these arenas, no, but I did work undercover for a number of years. So I tried to bring that into Trap in terms of what it’s like to be an undercover investigator and have to maintain your cover when there is really nobody around to protect you. And how tenuous it feels and yeah it’s dangerous. Caryn Hartglass: It is dangerous. I am kind of looking forward to the next book, I am sure it’s going to be pretty bleak. (laughs) I know that we do a lot of horrible test on non-human animals and some would say they are necessary but if you look into I think the majority of testing that’s done, it’s not necessary. It might be debatable that some of it is necessary, I am not quite sure but it’s not something that I support. It’s just another thing that we do as humans that I am not particularly proud of. Robin Lamont: I will try to give you if not a happy ending, a satisfying one. They are possible, look at the ad gag law in Idaho. So yeah happy endings are possible. Caryn Hartglass: happy endings are very possible. Thank you Robin for your latest book and for joining me on It’s All About Food. Robin Lamont: thank you! It’s been a pleasure. Caryn Hartglass: It is. I know we keep talking about it but I know we are going to get together and share a meal one day soon. Caryn Hartglass: Ok, that would be fun. Alright take care! Caryn Hartglass: Thank you! You have been listening to me. 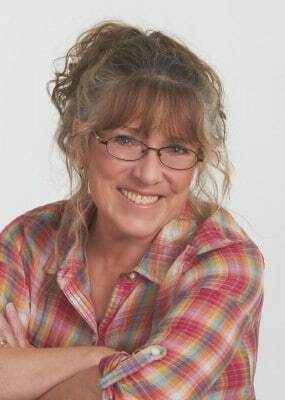 I am Caryn Hartglass and this has been It’s All About Food and my las guest was Robin Lamont, the author of the new book The Trap part of the Kinship Series and you can find out about who was my guest today at my website https://responsibleeatingandliving.com/where you will be able to listen to the archives of these shows and very soon transcripts, because we do transcribe our shows thanks for joining me and remember, have a delicious week!